Without it’s art, Magic wouldn’t be the giant of tabletop games that it is today. Without the work of Chris Rush, Rebecca Guay and more recently Nils Hamm and Seb Mckinnon, Magic would just be a generic fantasy game with dudes in armour and robes. With that in mind, here are my choices for the best artists who’ve worked on Magic in the last 21 years. Disclaimer: I’m not an art critic, I just like the pretty pictures. If you disagree, that’s cool. Honourable mention: Noah Bradley. 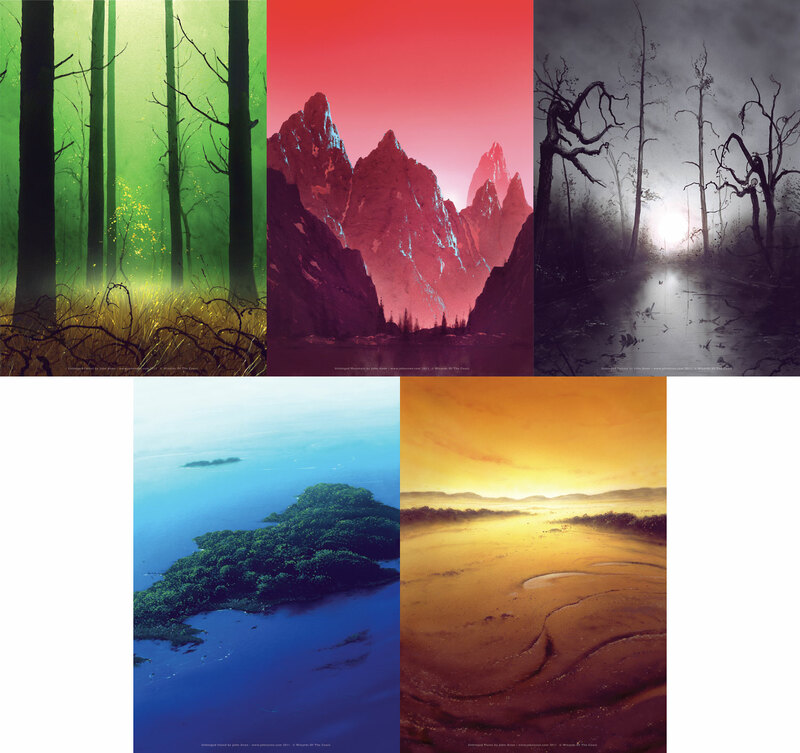 Noah Bradley is great and super popular, but his work just doesn’t do as much for me as these others. 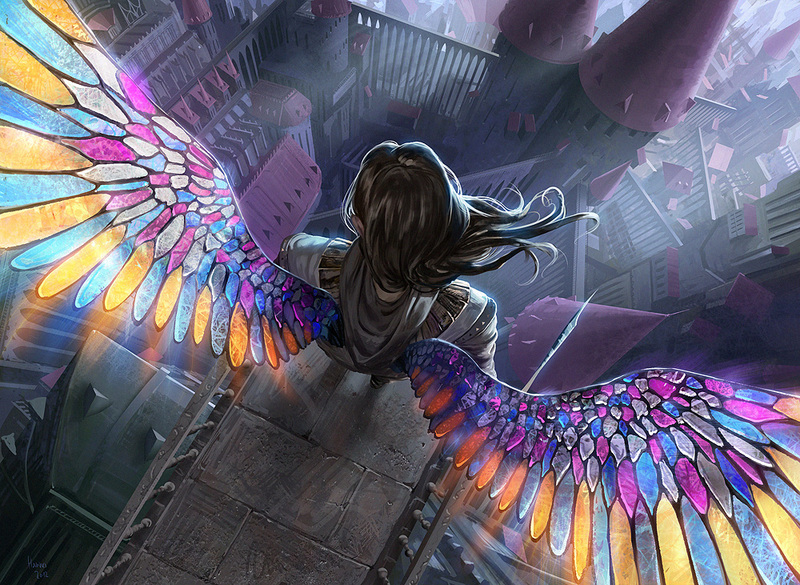 Jason Chan has worked on some of Magic’s most powerful cards in recent times such as Avacyn, Angel of Hope and Jace, the Mind Sculptor as well as cards like both versions of Xenagos and Deicide above. Outside of Magic, he’s also worked on League of Legends and helped create Female Shepard for Mass Effect 3, which must be some kind of nerd trifecta. Will is quite new to the mtg artist stable, first appearing in Return to Ravnica with Blustersquall. 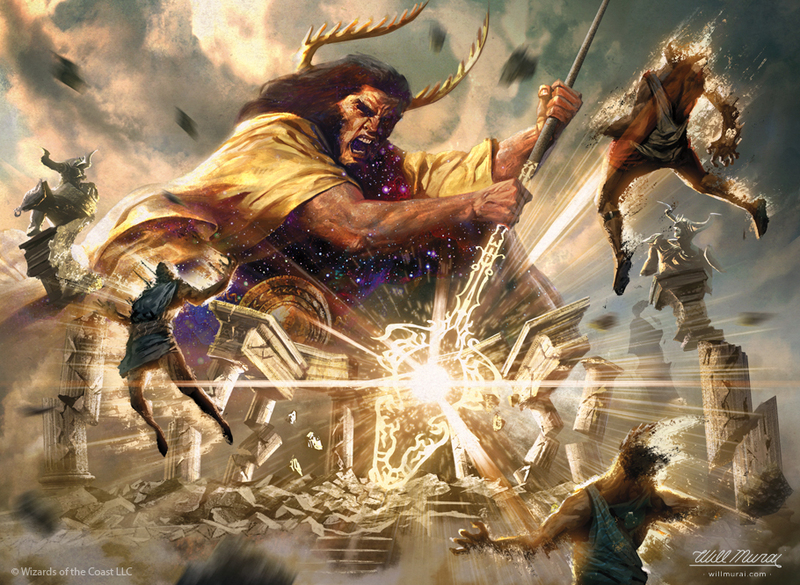 But it’s his Theros themed artwork that has stuck with me, especially the Wrath of God produced for From the Vault Annihilation and the Divination. Everything is so bold, even the stars under Heliod’s cloak and the flecks being blasted off the guys in the foreground. He also did Aspiring Aeronaut in Magic: Origins, where his take of Kaladesh armour makes me very excited to see what he’ll bring to the Kaladesh set later this year. Gift of Orzhova, Johannes Voss. I can’t really say what I like about Voss’ work. Maybe it’s the way the wings glow on Gift of Orzhova, the details on Blood Artist or everything on Commander’s Authority. It all just sticks with me, and his style just seems made for foil cards, which might be way I’m so stunned by it, and again, everything is very bright making his cards stand out. Why is John Avon a bad magic player? Because he always draws lands. But when they look like this, that’s not a bad thing. The Unhinged lands are some of my favourite basic lands ever, just being so simple and calm, even the mountain is relaxing in it’s own way. One day, I’ll get a foil set for all my decks. His website also contains a really detailed bio and explanation of his change from paper art to digital. Khans of Tarkir Island, Adam Paquette. Adam Paquette is another guy who likes to use bright contrasting colours (a pattern is starting to emerge), but he’s also very good at mists. You can see a little of both in the Khans of Tarkir Island above. 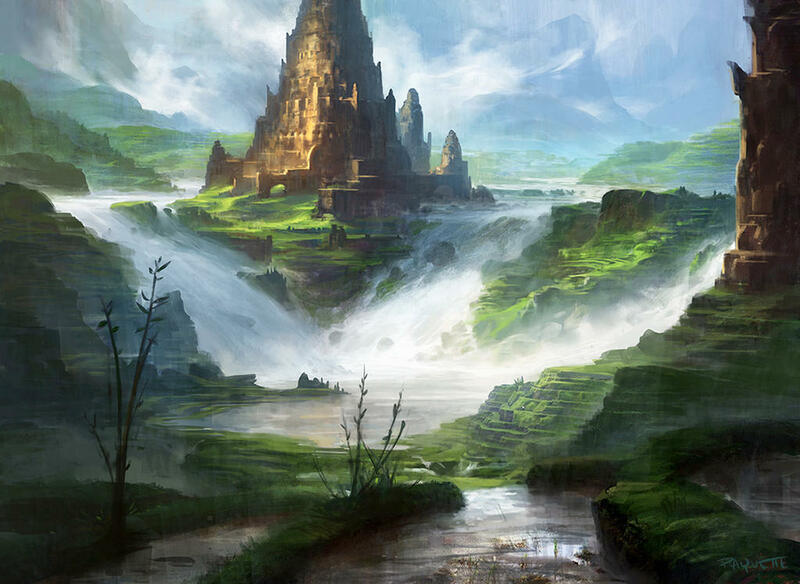 His Return to Ravnica lands are also beautiful, and just about everything else. I have one word for Veronique’s art: psychedelic. Everything is bright, twirly and exciting. I may be slighly biased due to owning some of the above Mountains in foil, but they’re just so striking and I’ll always take a moment to admire them when they get drawn. I guess that’s the mark of a great piece of trading card art. Christopher Rush created some of the most iconic artworks in Magic in Black Lotus and Lightning Bolt. Beautiful and simple, these are cards and arts that have stood the test of time. Sadly, Christopher passed away in February 2016, after being a pillar of magic’s community since the beginning. Both he and his art will be very sorely missed. Rite of the Serpent, Seb McKinnon. We’ve had the vivid and vibrant, from here things get calmer again. Seb McKinnon just “gets” creepy. Take a long look at Rite of the Serpent there; I couldn’t say what makes this piece so great, but everything about it is slight weird. From the black glowing knife to the the shapes and sizes of the colour blocks. My other choice of work from this guy would be Pale Rider of Trostad, which is just mournful and both spectral and solid in equal parts. I absolutely love it. Rebecca Guay’s artwork is phenomenal. The way wisps of anything just flow and the blending of colours is gorgeous. I could name stand out pieces all day, there’s a reason she’s one of the most popular and prolific artists in Magic’s history. Yes, her art isn’t as clean as some of the digital art above, but that clearly hand drawn quality gives it a soul. Enter the Infinite, Terese Nielsen. Terese’s art uses intricate patterns or soft glowing around the focus. On her store she gives incredibly detailed explanations of the creation of the art, giving insight into her process. Everything seems very personal and very well researched. Maybe that appeals to the inner blue mage in me, or perhaps it’s just that every single piece of Nielsen art from basic lands to big powerful mythics has had the soul of an entire plane poured into it. Look at Me, I’m the DCI, Mark Rosewater. Mark Rosewater has been working on Magic since near the beginning as a designer, developer and ambassador for Magic and games in general. 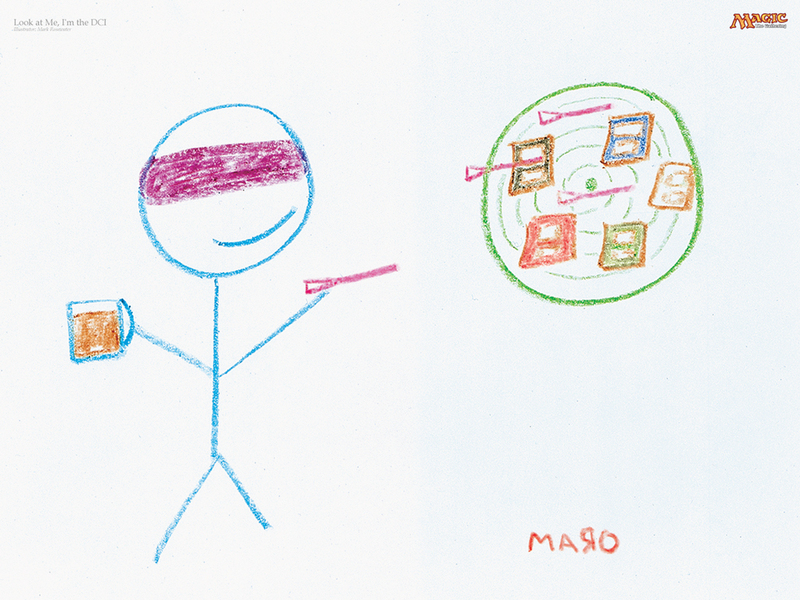 With all these under his belt, his only artist credit in Magic is Look at Me, I’m the DCI. I can’t think why. That said, I’ve love to get one of these signed. Never to use, just to sit and admire the genius that is Maro. Even by cheating with honorable mentions and number 0s, there are still other artists I need to mention: Nils Hamm, Steve Argyle and Svetlin Velinov for a few. But honestly, every artist who puts their life into Magic deserves all support you can give them, so order that print or playmat and admire it in every game!